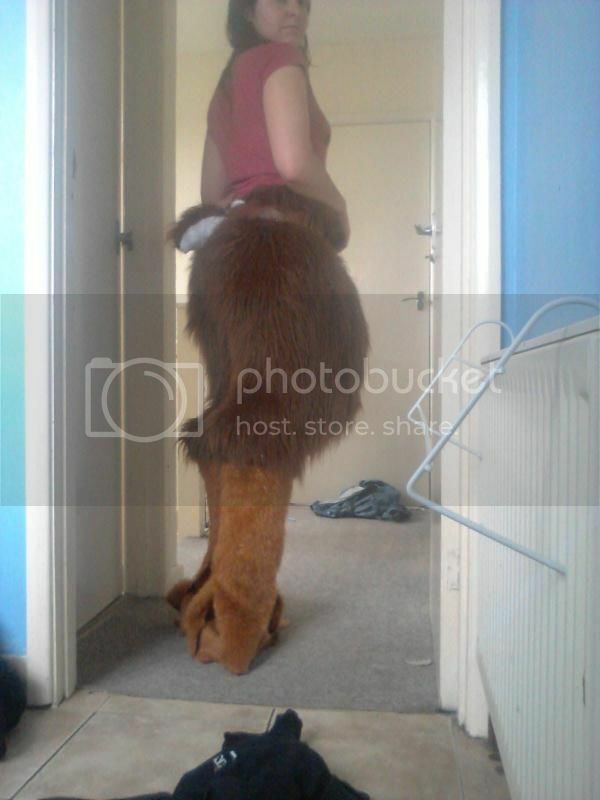 Faun legs mark 2 - critique requested - fursuits, plushies, and costuming - Furtopia | Family Friendly Furry Forum and IRC Chat! So I've finally taken the plunge and started working with fur. My first piece is going to be a faun but I'm having some trouble with digitigrade legs. Here is what I have so far without hoof shoes. Any feedback or advice would be amazing! Am I right in guessing the calves may be too big and the thighs not big enough? Yeah, looking at where the "ankle" is, it seems way too thick compared to the rest of the suit. I'd suggest putting some more padding on the front of the thighs, and taking another look at the angle that the ankle comes out at. It seems a bit too sharp. So have just redone my faun legs, changing proportions, stuffing and shape. I'd love some critique or feedback before I continue with the second leg. Very very well done leg! There are nearly no flaws. You should carry on with your other leg, as for me it's very good, especially if it's a redone . Many wishes for future projects! Awwhww! It's seem coming together very well! Are you planning to do anything else? If so, I'm looking forward to it! Is it only me, or the tail seems to be a tad small-ish? I was toying with making the tail a little bigger. Because it's based of a deer I didn't want to make it too large.